Though May is Asian-Pacific American Heritage Month, an important part of any heritage are the stories which travel with immigrants from their native land to wherever they land. Below are six folktales in picture book form, and one collection of Aboriginal stories, from Asia and the Pacific Islands. They are all excellent tales, but due to time constraints, the summaries come from Goodreads. As stated in a previous post, the only stories featuring Pacific Islander characters that I could find are the folktales featured here. I couldn't find any picture books that featured Pacific American characters, let alone protagonists. While this is sadly not surprising, the (seeming) complete lack of Pacific American representation is truly appalling. 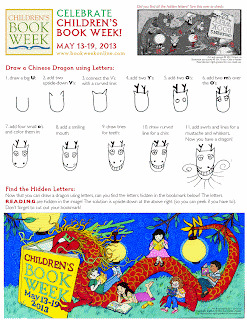 If you know of any good picture books (not Lilo & Stitch--though we're not making a judgement on that movie!) with Pacific Islander characters, please share them in the comments! I hope that some of you are authors and illustrators and involved in book publishing--this is clearly a problem that needs to be rectified! Another issue I found in researching books to feature this month is that while some Asian cultures are well represented in picture books, multiple others are either underrepresented or completely neglected. I was hard pressed to find any books set in Cambodia, Laos, Malaysia, or the Samoan Islands, among other countries, or books featuring Americans of those heritages. The books we feature here represent only a fraction of the diversity of Asian and Pacific Island cultures. It is my hope that in the near future we will see a better reflection of that diversity in picture books available to us. "Pig-Boy is hairy. Pig-Boy is dirty. Pig-Boy is hungry! And when trouble comes, he knows just what to do. (Of course, escaping trouble comes easily to a trickster, who can shape-shift his way out of sticky situations just in time!) 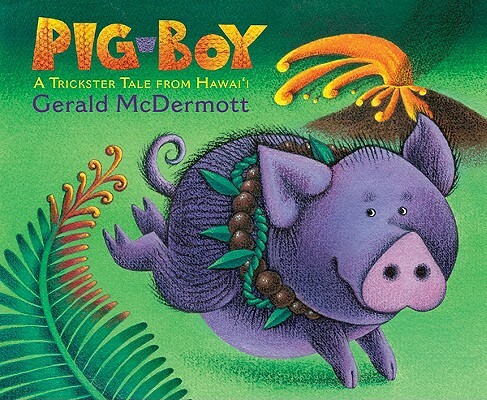 With the tropical colors and cadences of the islands, master artist and storyteller Gerald McDermott brings irrepressible humor and energy to a Hawaiian trickster tale that's been beloved for generations. Includes an author's note." 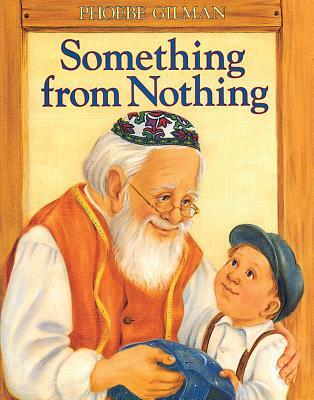 We're going to explore diverse folk and fairy tales further this summer, but here are four Jewish folktales in picture book form in honor of May being Jewish American Heritage Month! A tale about the benefits of hard work, being clever, and trusting God in difficult circumstances. Includes an author's note on the tale and the research that went into making this book. A lovely story about reusing, remaking, and letting go. 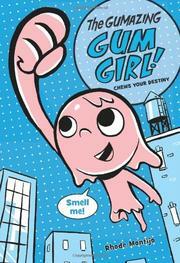 In this fun early chapter book graphic novel hybrid, Montijo begins a series about a girl who discovers she has new superpowers as Gum Girl. Gabby Gomez loves to chew gum. She loves it so much that she even chews gum in bed--until the morning she wakes up with a wad of the stuff stuck in her hair. While her mom is able to get the gum out with peanut butter, she outlaws gum chewing for her daughter. Poor Gabby doesn't know what to do without her chewable obsession. Fortunately/unfortunately, she finds a piece of "limited edition MIGHTY-MEGA ULTRA-STRETCHY SUPER-DUPER EXTENDA-BUBBLE BUBBLE GUM" in her pocket and gives into temptation, despite her mother's new edict. Gabby gets what's coming to get for disobeying sooner than later though when she blows her biggest bubble ever and consequently gets electrocuted. She ends up covered in gum, but soon discovers that her gum-covered self has new stretchy, gummy powers that allow her to right wrongs and help people in need. Fantasy is my very favorite genre. It's a sad fact that as a person of color I rarely see myself reflected in the fantasy books I love to read. And when there is a character of color, they're usually a villain, stereotyped, or a cringe-worthy caricature. However, things are changing for the food, albeit it slowly. So, to continue celebrating Asian Pacific American Heritage Month, here are five books by five Asian American authors who are a part of that change! FYI for those of you that care about these sorts of things, Julie Kagawa's The Immortal Rules is sci-fi (in the dystopian/post-apocalyptic vein) as well as fantasy. All blurbs from Goodreads. *I have only read the first three, but the others are definitely on my to-read list. American Born Chinese is one of my favorite books ever!!! I cannot recommend it enough. "A tour-de-force by rising indy comics star Gene Yang, American Born Chinese tells the story of three apparently unrelated characters: Jin Wang, who moves to a new neighborhood with his family only to discover that he’s the only Chinese-American student at his new school; the powerful Monkey King, subject of one of the oldest and greatest Chinese fables; and Chin-Kee, a personification of the ultimate negative Chinese stereotype, who is ruining his cousin Danny’s life with his yearly visits. Their lives and stories come together with an unexpected twist in this action-packed modern fable. 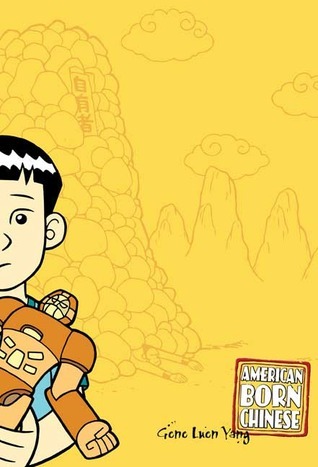 American Born Chinese is an amazing ride, all the way up to the astonishing climax." "No one wanted Ai Ling. And deep down she is relieved—despite the dishonor she has brought upon her family—to be unbetrothed and free, not some stranger's subservient bride banished to the inner quarters. But now, something is after her. Something terrifying—a force she cannot comprehend. And as pieces of the puzzle start to fit together, Ai Ling begins to understand that her journey to the Palace of Fragrant Dreams isn't only a quest to find her beloved father but a venture with stakes larger than she could have imagined. Bravery, intelligence, the will to fight and fight hard . . . she will need all of these things. Just as she will need the new and mysterious power growing within her. She will also need help. It is Chen Yong who finds her partly submerged and barely breathing at the edge of a deep lake. There is something of unspeakable evil trying to drag her under. On a quest of his own, Chen Yong offers that help . . . and perhaps more." To continue celebrating Asian-Pacific American Heritage Month, here are five books that specifically celebrate Asian American heritage. Sadly, we haven't found any picture books featuring Pacific American characters, and only a few with Pacific Islander characters (they are all folktales). 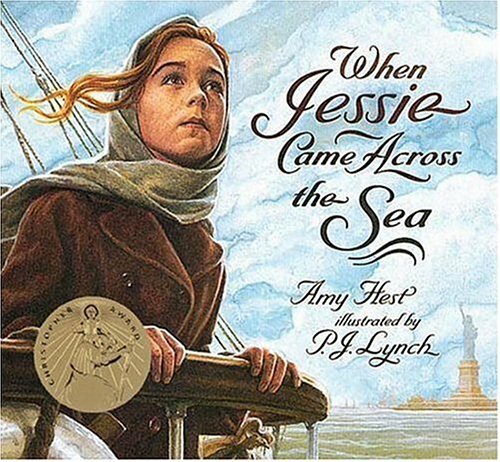 We'll be featuring those in a future post, but if you know of any picture books that feature Pacific American protagonists, we would really love to hear about them in the comments. As with all our recommendations, these books are great for everyone. Reading about other cultures as well as our own enriches us all and helps create mutual understanding! 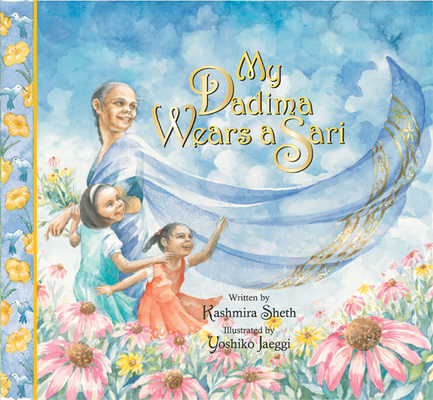 A beautifully illustrated story of a little girl's admiration of her dadima (grandmother) and the lovely saris she wears. When the granddaughter asks her grandmother if she ever wants to wear something else, the grandmother says no and explains her love for saris. She chronicles how useful saris can be, how each one is different, and shares the special memories her saris hold. The book ends with the little girl and her sister being lovingly dressed in saris by their grandmother. Includes an author's note and "how to wrap a sari". Tashi is concerned about her grandfather who is sick. 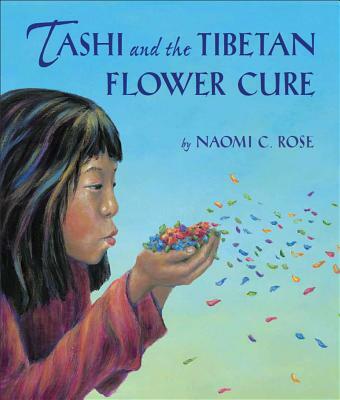 So when she remembers a story he told her of the people in his Tibetan village who used flowers to get well, she thinks she's found a solution. At first, her grandfather doesn't think the cure will work in the United States, so far from the magic of his native land, but Tashi is determined. Using acrylic paintings, Rose illustrates the healing power of a caring community. Includes short notes on Tibet, Tibetan Americans, Tibetan medicine, and Tibetan words. On April 28, 2013, respected and prolific children's book author, Fredrick L. McKissack, passed away from congestive heart failure. He was 73. 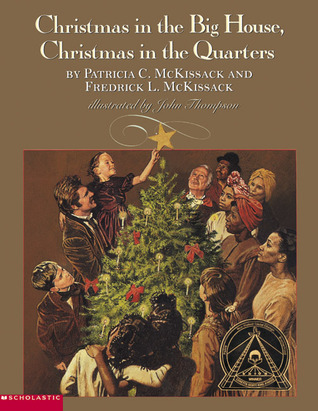 Over the course of an over three-decade collaboration, Mr. McKissack and his wife, Patricia McKissack, wrote over 100 children's books. Winning many awards--including multiple Coretta Scott King awards--the McKissacks focused on biographies and histories, chronicling the lives of influential African Americans and the Black experience in America. 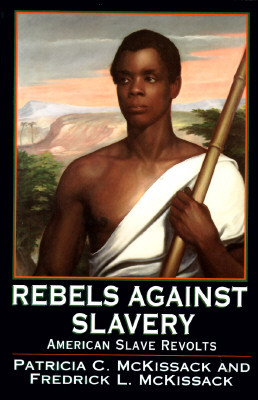 One book by the McKissacks that had a great impact on me was Rebels Against Slavery: American Slave Revolts. 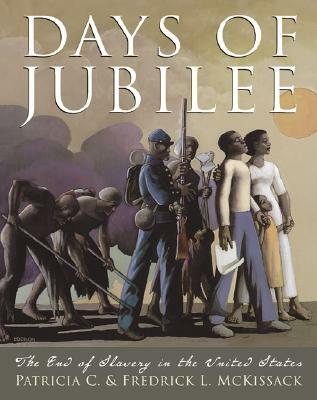 I remember reading it in junior high and being shocked and empowered by the accounts of those who fought against slavery as slaves--stories I had never heard in school. The world of children's literature is poorer for his loss, but the books he left us are a lasting legacy. You can read more about Mr. McKissack's life in The New York Times and Publisher's Weekly. In this gorgeously illustrated book by one of my favorite artists, Hest tells the story of Jessie, an orphaned girl from Eastern Europe who leaves her quiet village life to journey to America. Jessie's parents died when she was a baby, so she was raised by her loving grandmother who teaches her how to make fine lace. In turn, Jessie teaches her grandmother how to read and write--knowledge she acquires from lessons with the village rabbi. When the rabbi receives a ticket to America but decides he needs to stay with his people, he chooses Jessie to go in his place. While Jessie and her grandmother are sad to be separated, they know it is a wonderful opportunity. Jessie entrusts her mother's precious wedding band to her grandmother's care and sets off for a new life. The rest of the story chronicles Jessie's life in America and correspondence with her grandmother and ends beautifully, but I don't want to spoil it for you, so you can read it for yourself to find out the rest! Winner of the Christopher Award. Abe and Willie are neighbors, but they can't play together outside. Instead, they become best friends across the alley that separates the buildings where they live. Through their windows, Willie teaches Abe how to throw a "big-league slider" and Abe teaches Willie how to play his violin. When Abe's grandpa mistakes Willie's playing for his grandson's, he decides Abe is ready to perform at the temple. One day before the recital, Abe is concentrating on practicing his wind-up and Willie is so caught up with his playing that they don't hear Grandpa come into Abe's room. What results is an opening of minds and the opportunity for each boy to do something hitherto closed to him. Lewis's lovely watercolors pair well with this story that illustrates love's power to overcome prejudice, one friendship at a time. It's national Children's Book Week here in the U.S.! 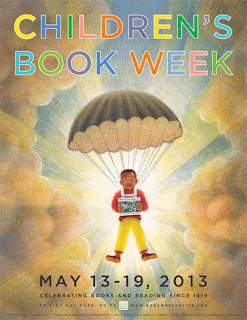 Children's Book Week was established in 1919 and celebrates children's books and reading. 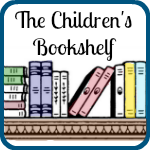 Events are held nationwide and you can find out what's going on in your area by visiting the official Children's Book Week website. 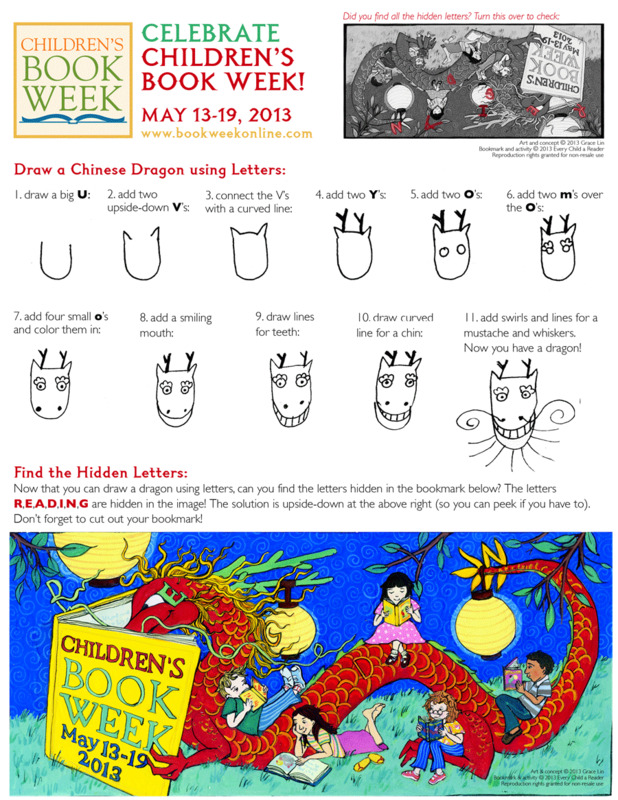 While there you can also print the official 2013 Children's Book Week bookmark by Grace Lin that includes instructions on how to draw a Chinese Dragon! 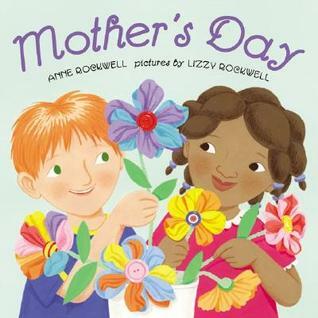 Five Diverse Picture Books for Mother's Day! Happy Mother's Day to all the mothers out there! Here are five diverse books that celebrate mothers and mother love. A wonderful book (especially for a classroom read aloud) about students in a very diverse class sharing the kind things they plan to do for their mothers for Mother's Day. The story includes instructions on making a flower with a button, paper and pipe cleaner. A Thai mother tells all the noisy creatures in and around her house to quiet down while her son sleeps. 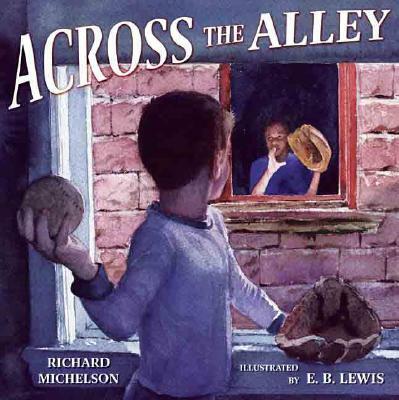 Winner of the Caldecott Honor. It has come to my attention that at least one reader was offended by the post entitled Five YA Novels Featuring a Protagonist with Asperger's or Autism. First, I'd like to apologize for not making it clear that Asperger's Syndrome is a form of autism. I am aware of this fact and while I alluded to this in the post about middle grade novels in the same vein, I realize I did not explicitly state this in either post. The reason for the title was two-fold. First, I was misinformed that April is Asperger's Syndrome Awareness Month, as well being Autism Awareness Month, and wanted to make that distinction. It turns out this is not true: April is Autism Awareness Month. Second, the title seemed rather too long with everything explained. That said, Asperger's is autism, not an either/or situation, and I will change the posts and titles to reflect that. We have not made this clear in the past so we want to make sure it is clear now: if you ever read anything on this blog that you find offensive, please ​let us know​! We are not above making mistakes, and though we are a diverse bunch, we do not personally represent every diverse group we highlight on this blog. We would very much appreciate it if you would kindly bring it to our attention if we ever misstep, keeping in mind that we would never do such a thing maliciously, as our goal is to promote diversity, not create more problems through misrepresentation. We thank you in advance for your honesty​ and hope this apology and clarification helps any readers that were offended by previous posts​! Erica Montenegro, known by her nickname "Chia", is used to only having to worry about her witty t-shirt collection, her annoying younger siblings Carmen and Jimmy, "close encounters" with cute boys, and her expansive Chia pet collection. All that changes the summer before eighth grade when Erica learns her mother has breast cancer. When her family journeys to a special church, to pray for her mother to be healed, Chia makes a promesa to God in el cuarto de milagros (the Miracle Room) that in thanks for her mother surviving cancer, she will make a sacrifice. When Chia decides her sacrifice will be participating in the Race for the Cure breast cancer awareness walk, as well as getting 500 sponsors for the walk, she knows it will take effort. But walking in the hot San Antonio sun is harder than she thought, and getting people to open their doors and hear her out--let alone sponsor her--seems nearly impossible. We're really impressed with what these students observed, as well as their thoughtful responses, which highlight the importance of educating children about diversity issues. Click here to read more about what these intelligent 6th graders had to say. All quotes and pictures come from the site. April was an exciting month being National Poetry Month, Autism Awareness Month, Asperger's Awareness Month, and including Earth Day and Arbor Day. Additionally, April was also Jazz Appreciation Month. I had some difficulty acquiring the books I wanted to feature--hence this post being late--but better late than never! 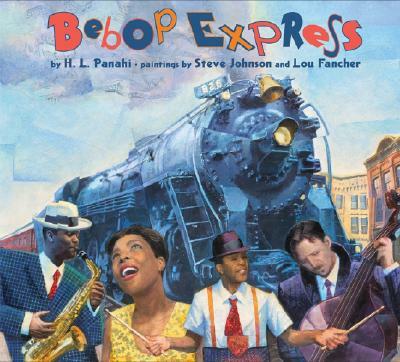 Fancher and Johnson's collage art portrays a racially diverse array of jazz musicians and appreciators aboard the fictional Bebop Express which travels from city to city in search of jazz. Every city has its own unique style which is expressed in words and rhythmic sounds which should make for a fun read-aloud. It's May and that means it's Asian-Pacific Heritage Month! Of course, we celebrate everyone all year long, but we like to make a special effort to highlight specific people groups when it is their special month. We'll have lots of recommendations for you over the course of the month so be sure to stop by often. The title says it all in this hilarious book about the trials of being a little sister, narrated by Little Sister. Little Sister definitely thinks she gets the short end of the stick, getting hand-me-downs and never getting to do things first, but she still has fun being a little sister. In the end, Little Sister comes to the conclusion that though Big Sister is bossy she is a good big sister, and while she'll always be older, Little Sister will always be better at being a little sister. 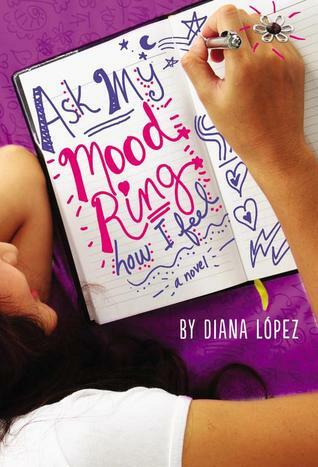 A laughter-filled book about sisterhood with appeal to a broad age. In this girl-centered retelling of the Chinese folktale Ten Brothers, six sisters, each different and each with their own special skill, save their youngest sister from a dragon.